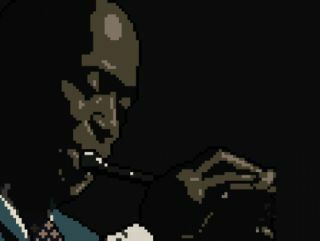 Jazz legend Miles Davis is the latest artist to have his work re-imagined in the style of an '80s video game; or to put it another way, he's the subject of a new 8-bit tribute album. The brainchild of Andy Baio, Kind of Bloop is a track-by-track recreation of Davis's seminal Kind of Blue, though it's a rather bleepier (or should that be bloopier?) affair than the original record. It was released yesterday and is currently available only to those who helped to fund its creation, though anyone will be available to buy it from 20 August for $5. Until then, you'll have to settle for listening to preview clips from the album. As we mentioned, Kind of Bloop is just the latest album to be released in the 8-bit covers genre - if you like your music as Mario intended, check this lot out. Presented by Pterodactyl Squad, this features Rivers Cuomo and co's work "as you've never heard it before" (unless everything you hear goes through a GameBoy-izing filter, that is). Daft Punk get the 8-bit treatment here - listen to Around The World, One More Time and many more in all their pixelated glory. If you're looking for some 8-bit bombast, apply within. We're betting that even Matt Bellamy can't make his guitar sound quite like this. Some of the top 8-bit artists from North America, South America and Europe pay tribute to the German pioneers. You'll have to pay for this one.